Camping with Kids - 12 Survival Tips for Happy Campers! It’s that time of year again, and what better way to make the most of summer than to spend a few nights under canvas with your family. Camping with kids is special, and can be a great way for your child to explore nature as well as having some quality bonding time with you. Your children will get grubby. Very grubby. Accept it. Don’t worry about it… they will be fine! A few wet wipes for sticky fingers and a wash before bed is good enough for most, and you could always keep the antibacterial gel handy for more interesting types of grub… like cow poo. 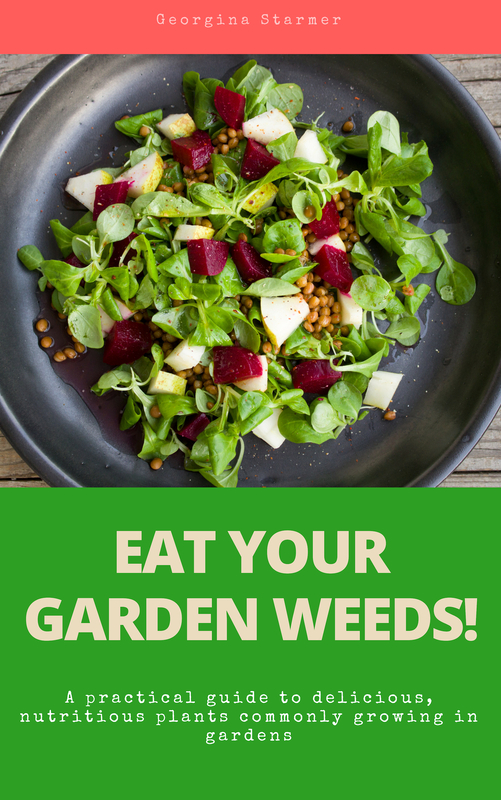 Enjoy it, become one with the grub. 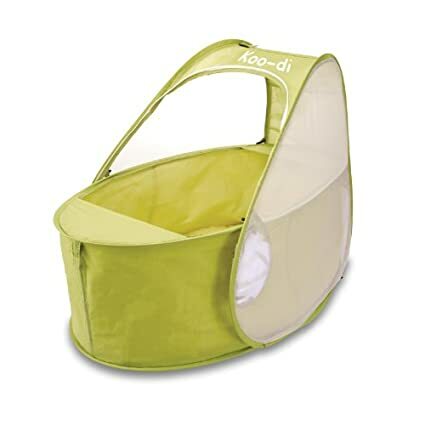 If you are camping with a small baby, pop-up cots are the ideal place to sleep, and they fold down small. Baby sleeping bags are ideal and for extra snugness, a small sheepskin rug for your child to lay on is perfect for a little extra insulation. It’s not much fun shivering during the night, and even in summer, sleeping outdoor can be chilly! Opt for a warm junior sleeping bag for young children, and extra blankets just in case. When small people are hungry, they don’t like to wait, and when you are under canvas you do not have the convenient cooking equipment you have at home. For young babies, breast-feeding is the ideal camping solution to nourishment on-the-go. If you bottle feed, it might be worth investing in some ready mixed formula milk, saving you the hassle of measuring and mixing when in a hurry. For young children, prep some meals in advance and transfer them into your cooking pot for heating on the stove or camp fire. Meals like spaghetti bolognaise, soups and casseroles are quick to warm up. 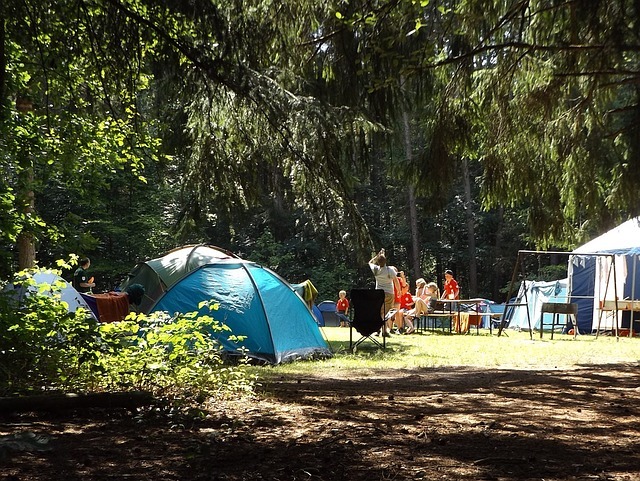 To make camping with kids stress free, keep the tent tidy and essential items close to hand. A small head torch means you can keep both hands free if you need to change a nappy or rock a baby back to sleep again. Give children their own torches to have fun with. Kids get mucky on campsites. Take more clothing than you need. Be prepared for the inevitable rain shower and falling over in puddles! Waterproof all-in-one suits are the perfect companion for a camping holiday, and let’s face it, you are likely to see a muddy puddle or two when camping in the great British outdoors! Wellies are great protection in the mud, but really easy to slip on and off as you go in and out of your tent. Don’t forget to bring comforters and favourite teddies! Take favourite books, colouring and drawing paper, pens/crayons. Handy when you want them to have some quiet time or to keep them amused when you are busy. You will only stress yourself out trying to get your exited toddler to sleep at 7pm. Be flexible, and put them to bed when they are proper pooped out! Usually, bedtime gets easier after the first night under canvas, as all the time spent in the fresh air does the trick. A good baby carrier is a great thing for camping with babies. Forget pushing a buggy through muddy campsites! 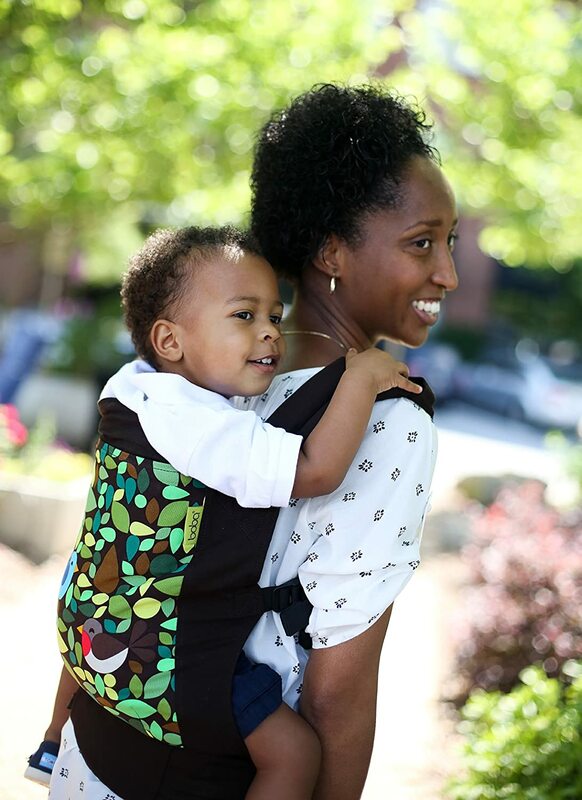 Boba baby and toddler carriers are the most lightweight baby carriers on the market, and it packs away very small in its own travel pouch. Perfect for days out. If you are hiking it’s a good idea to bring a waterproof backpack cover to slip over the baby backpack in case of rain. That way baby stays nice and dry and warm from your body heat. Be prepared for splinters, stings etc. Antihistamines are also a must have in your first aid kit, in case insect stings cause swelling or if anyone is allergic to any pollen that may be in season. Most campsites will have on site toilets and showers. It’s always handy to have a special ‘wee bucket’ or a potty to hand. It will save you traipsing to the toilet block in the middle of the night. The joy of camping is being in the great outdoors, and happy camping can sow the seed for a lifelong love of nature and adventure. Have fun! 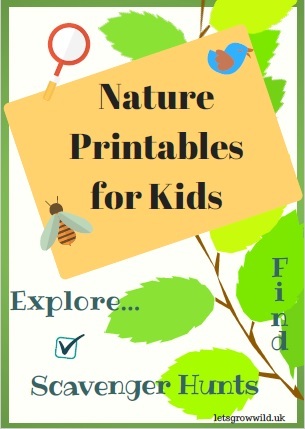 Make a treasure hunt for children to find different insects and flowers, ask them to gather sticks for the fire, build a den… you get the idea. it will help no end! Camping with kids means you need to be flexible and go with the flow. Enjoy watching you child explore the world around them. Take lots of photos! Do you enjoy camping? Please share your tips for camping with kids! » Lightweight Tents for Hiking Expeditions – what you need to know!